Oak Creative have the talent and tools to increase your web sales and enquiries. 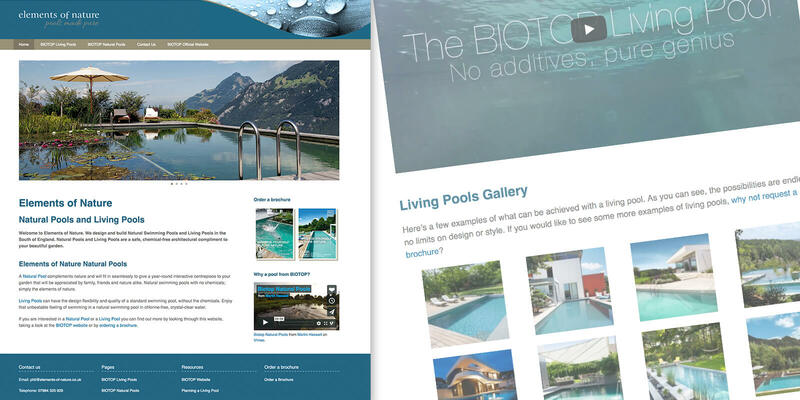 We take each new design project as it comes and we don’t roll out a set template – we listen to your individual needs. If you’re looking for a new website, or perhaps a website redesign of your current site, please do get in touch. You might find answering the questions on our briefing sheet helps you get your head around what you need us to do. This also helps us prepare for our initial meeting and figure out how much work will be involved. Sometimes your business might need something created online that’s unique to just you. We’re able to listen to those needs and apply our development skills to making it happen. Recent examples of our bespoke web design an development include an interactive global map of suppliers and a redesign of an auctioneers website that displayed live lots. We have great experience in creating online shops. Utilising Shopify, we can create you a bespoke shop front for all online business, developing the theme so you can easily add, edit and remove your pages and products. We’re able to design and develop a bespoke staff intranet for your business, runnable in-house with no coding required on your part (unless you’d like that), just an easy to update site with the various features that you’d expect from an intranet. If you’re just starting out, we can design and develop you a new website from scratch to start your web presence. Come in and meet us so we can establish your web design requirements, from there we’ll sort everything you need. We’re proficient in CSS, HTML, PHP and all those wonderful things that make websites run and look beautiful, check out our web design service here. Perhaps your website has been around for a few years and has run into a few problems. Maybe it isn’t compatible on certain mobile devices or browsers, maybe your web design is a bit dated. We can give your website a complete overhaul whilst maintaining your current search engine rankings. Our website redesign service will ensure you continue utilising any analytical data you may have to pinpoint entry points onto your website and the search terms used to get there. WordPress is essentially a blogging platform that can be utilised as a very powerful and easy-to-update content management system or CMS for websites. In Leyman’s terms, you’ll be able to update your website yourself, quickly and easily. We utilise our own bespoke WordPress boilerplate that clearly arranges everything behind the scenes so you know what you’re updating without having to have any coding experience.